One guest, often the first time buyer, made a purchase then left the sites without bothering registration. Thus, shop owners often wonder “If someone uses the guest checkout to place an order in Magento 2 sites, how do I turn the guest account into a customer account?”. They want to keep in touch with potential buyers and promote for later coming back. Then Magento 2 Guest to Customer extension is the answer. This Magento 2 module allows admin to convert unregistered guests to customers after their checkout process. 0.2 Does the Default Support Magento 2 Guest to Customer? 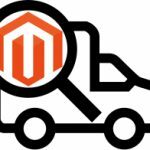 0.4 How Can Magento 2 Guest to Customer Extension Benefit you? Magento 2 Guest to Customer extension is a handy tool to automatically convert guest users into engaged customers after they finish the checkout process. Once admin enables Magento 2 Guest to Customer extension on site, converted guest will receive a notification email with new account and password for later use. 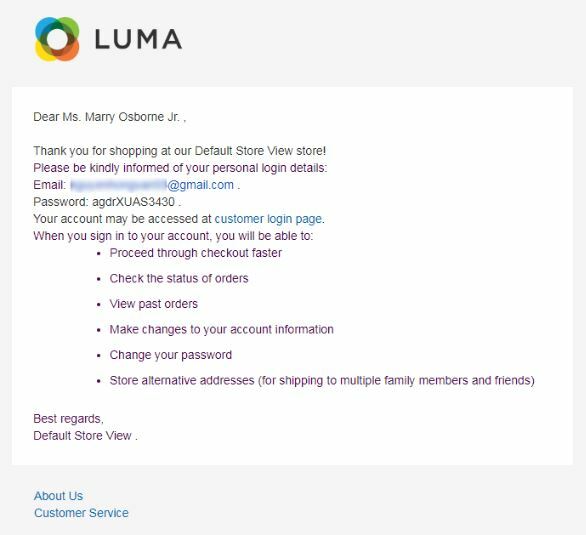 Any orders previously placed with guest checkout email, as if, are also assigned to the new account. Sometimes admin wants to turn a guest buyer into customer manually for better control. 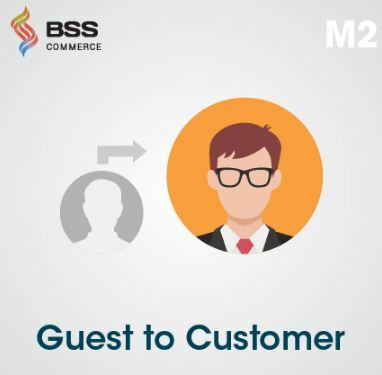 Then, he can select any guest checkout orders from Guest Management Grid in the backend config of Magento 2 Guest checkout customer to registered customer extension. Chosen guest orders are freely assigned to any customer groups as needed. 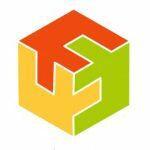 Does the Default Support Magento 2 Guest to Customer? 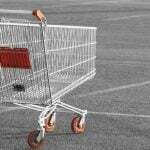 Magento 2 default allows unregistered guest to go through the checkout procedure. Unfortunately, it does not support converting guest checkout customers into registered customers at all. However, shop owners expect to keep in touch with and convert them into repeat buyers. Magento 2 Guest to Customer extension meets the requirement for providing guest buyers with new accounts to become real customers. Choose a template and deliver Magento 2 guest to customer notification email including new account and password to the converted user. How Can Magento 2 Guest to Customer Extension Benefit you? Buyers who use Magento 2 guest checkout feature are often the first time on sites and have no plans for later coming, or they get bored with the page-to-page registration form. Then, among a wide range of Magento 2 extensions, this is a must-have module to improve the shopping experience for those guest. Guest users only have to fill some required information on Checkout pages and Magento 2 Guest checkout customer to registered customer extension does the rest. New accounts are included in notification messages to their emails. Next time, if they want to place an order, there is no need to refill long checkout page. Consequently, customers are happy and encouraged for more coming back. Also, shop owners can get larger customer database for further marketing purposed as wished. Best time-saving and convenient guest conversion module ever! Now, have a look at the following features of Magento 2 Guest to Customer extension in backend demo to figure out how effective this module is. To enable Magento 2 automatic guest-to-customer feature on sites, please go to General Config of Guest to Customer and set “Yes” in Enable section. If admin sets “Yes” in “Auto Convert to Customer”, then whenever a web guest finishes the checkout process, he/she is automatically converted into a newly registered customer with an account provided via the notification email. In case, store owners want to implement guest conversion manually, just turn to “No” in “Auto Convert to Customer” field. All guest checkout users will be managed in Magento 2 Guest Management Grid for admins’ further action. 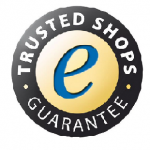 The owners can select as many guests as wanted to assign to any customer groups such as General, Retailer, or Wholesaler. After auto converting or manually assigning guest checkout to customers, Magento 2 Guest to Customer extension supports sending notification emails to newly registered customers. Admin can freely customize the template of email, sender information, and so on. Step-by-step instruction will be included in the User Guide for Magento 2 Guest to Customer extension. Magento 2 Guest checkout customer to registered Customer extension will automatically deliver a notification email to provide newly converted customers with an account and benefits of using that account on sites. Therefore, customers are encouraged to come back more often and place other orders. Magento 2 Guest to Customer extension frees buyers from the long and boring registration process. New account enables them to go through checkout faster, check previous and on-the-way orders easily. Admin can keep newly engaged customers coming back and convert them into brand advocates. Install Magento 2 Guest to Customer extension now for free installation and lifetime update.